Fulton River has the world’s largest manmade spawning channels, and from late summer to early fall the water blushes with spawning salmon – delighting all salmon-lovers, including bears, eagles and humans. Babine Lake also has cutthroat, steelhead, rainbow trout as well as do coho salmon, Burbot (ling cod), lake and mountain whitefish. 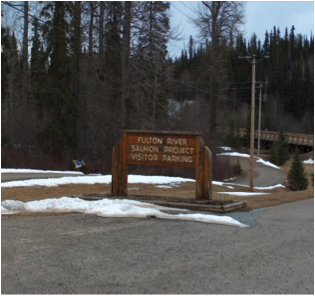 Visitors can view the Pinkut Creek and Fulton River hatcheries channels. The fish counting fence improves viewing opportunities.